It seems like microwave ovens always break down at the most inappropriate times. If you happen to experience some problems, contact us for a quick and efficient Pasadena microwave repair. We realize that you need your appliance back on track as soon as possible, that’s why we are available for same day service. Just drop us a call and one of our technicians will arrive to fix your unit in a flash. 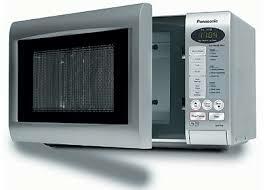 Hiring us for your microwave service is the best investment in proper operation of your appliance. Our specialists have the skills and expertise in repairing all makes and models available on the market. Whether you have the new age microwave or an outdated unit, we can get it back up and running in no time. When the microwave oven starts acting up, you should stop using it and call us right away. With the extensive knowledge of mechanics and electronics, our technicians can quickly assess the problem and perform safe microwave oven repair. Aside from repair services, we provide our customers with microwave oven maintenance,replacement,and installation. Whether it’s a build-in or standalone model, we can install it for you in a matter of hours. Our company is the right source for any appliance-related work. Contact us today to schedule your microwave repair in Pasadena. We can ensure that after our services your appliance will operate the way it should!